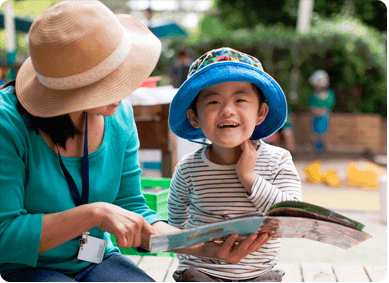 Children of all abilities are welcomed and included in the preschool program and supported by our staff team. Staff work in partnership with families to develop an individualised program designed to enhance every child’s participation and learning in the preschool environment. At Learning Links, all children are unique regardless of their individual abilities and needs. We promote and foster full and active participation in the learning environment for all children and support children’s positive peer interactions. We believe all children who engage in an inclusive and diverse environment have rich opportunities for learning. All children will have the opportunity to play, grow and learn through natural interactions with other children in the preschool. Children have opportunity to support each other, and develop an acceptance and understanding of differences and similarities, a great life skill. At Learning Links our educators, therapists and psychologists work together with children’s families to support and promote children’s learning. Children learn best when everyone in their life works together in a consistent way. Our staff value the opportunity to learn from one another. Our staff share understanding and knowledge of how they work to build capacity and expertise of each other. We recognize that learning happens in everyday environments, through relationships with the people with whom children spend most time. Our educators, therapists and psychologists work together with the class group to collaboratively develop strategies to support each child’s learning and can be embedded into the everyday preschool program, practice and routines in practical ways.